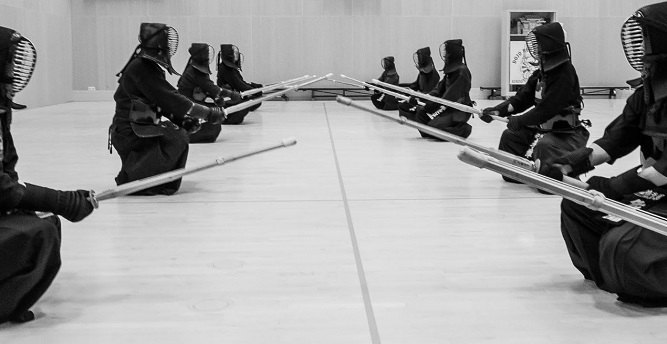 Kendo is a Japanese martial art, it literally means 'the way (do) of the sword (ken)'. 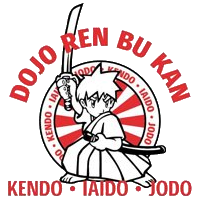 Kendo can be practiced by anyone, old, young, girl, boy, small, big, tough or shy: everyone can do it! Of course we do not use a real sword but we use a 'shinai', this is a bamboo sword. If you are 10 years or older, you are very welcome to participate in 4 trial lessons. Became curious? Are you coming to join us? If you miss a lesson, it is possible to catch it up another time. Put on something easy, such as sports shorts and a t-shirt. You don't need shoes, we train barefoot. You do not have to purchase a shinai yourself, we will take care of that. 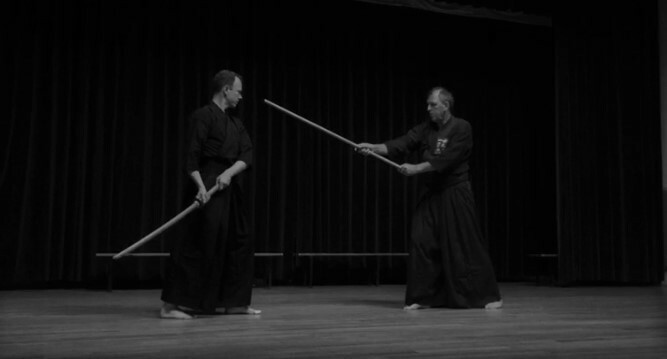 Iaido and Jodo are Japanese martial arts, Iaido literally means the path of sword pulling in response to an attack and Jodo the path of the stick. Iaido and Jodo can be practiced by anyone from the age of 14. At Iaido you practice as a beginner with a wooden sword, at Jodo you practice with a Jo. If you are 14 or older, you are welcome to participate in 4 trial lessons. Became curious? Are you coming to join us? Put on comfortable clothes, we train barefoot. With iaido a pair of knee protectors is recommended. We take care of the rest.